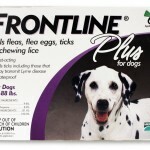 During your dog’s life, you are likely to run into problems such as itchy skin, fleas and ticks, ear infections, or digestive distress. These ailments are common among pets, but are also preventable. 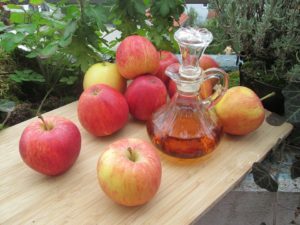 One common remedy and preventative is raw, unfiltered, unpasteurized apple cider vinegar (ACV), which can be purchased at any health food store. The recommended uses of ACV for dogs are discussed below. Dogs can develop skin irritation from any number of common allergens, including grass, pollen, dust, and even their food. 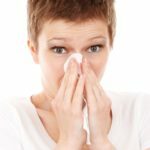 Unlike humans, dogs do not display allergic reactions in localized areas, rather, their entire bodies will become itchy and irritated. ACV can help soothe irritation when applied directly to the skin and coat. Simply dilute 1 part ACV with 1 part water, and combine in a spray bottle. Spray your pet (avoiding broken skin) for fast-acting relief. 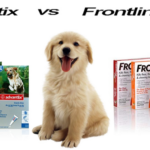 Not all dogs can tolerate over-the-counter flea preventatives, including topical ointments and collars. ACV is a natural insect repellent thanks to its acidity. To repel fleas and ticks, you should spray your pet with a 50/50 ACV/water mixture before your dog goes outside. ACV can also be added to your dog’s food and water, up to 1 tablespoon per day. For additional protection, pet owners can make an ACV flea dip at home by combining ½ cup ACV, ½ cup cooled green tea, and 1 cup water. Apply this mixture after a bath, and allow your pet to air dry. Floppy eared dogs are commonly prone to developing ear infections that are both painful and dangerous. ACV is a natural anti-fungal, anti-viral, and anti-bacterial agent that can kill and prevent infections. Simply soak a cotton swab in a 50/50 mixture of ACV and water and wipe out your dog’s ears once every 1 – 2 weeks, or as needed. ACV is effective for promoting healthy digestion because of the enzymes that remain after the fermentation process. However, digestive benefits are only present in vinegar that is not pasteurized or filtered, so it is important to buy the proper type of ACV. In addition, the acidity of the vinegar promotes the growth of healthy bacteria within the gut, which is important for a properly working digestive system. For dogs that are prone to urinary tract infections or kidney stones, ACV may also impart relief. The anti-bacterial properties of ACV can clear out existing infections, while the acidity can prevent stones. For both good digestion and urinary health, ACV can be administered up to 1 tablespoon per dog per day. While ACV can safely be used for the majority of dogs, some pets do not respond well to this treatment. Use common sense when feeding ACV to your pet, and take note if any side effects occur such as vomiting or diarrhea. 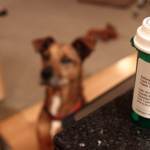 Always start with a lower dosage than recommended, and slowly increase the amount you feed your pet if tolerance is shown.